There are many factors that search engines have in positioning websites, blogs and content in general. The following table lists the main SEO success factors that you should pay attention to so that your “site” positions well in Google and other search engines. 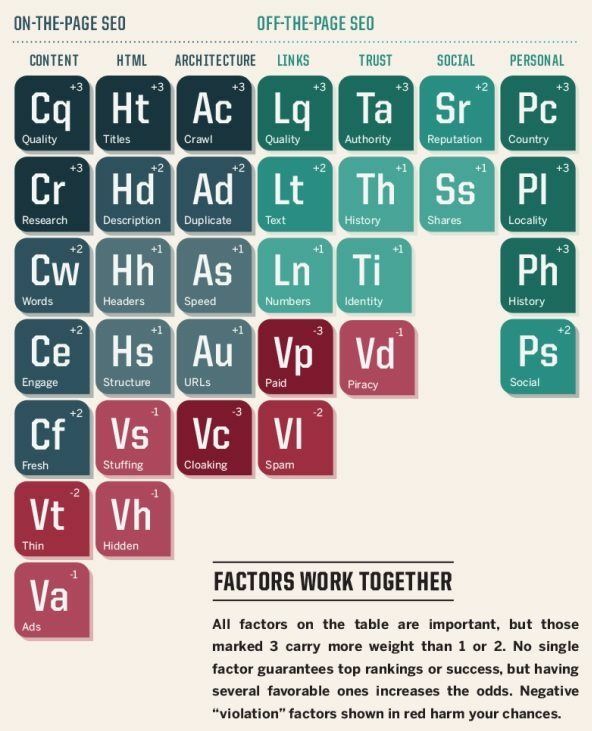 According to their importance each factor has a score, which you will see in each box in the upper right, from +1 to +3 (when it is a positive factor) and from -1 to -3, when it is a factor that negatively affects In SEO positioning. PreviousPrevious post:The Web AnalyticsNextNext post:Why invest in Online Marketing?